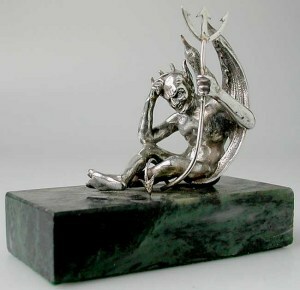 Devil is the name commonly given to the fallen angels, who are also known as demons. In popular belief they are strictly associated to hell and hellfire and 'the Demon' (with the article) usually denotes Lucifer, their chief. 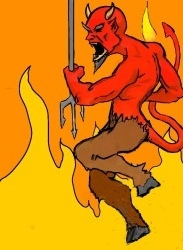 For centuries, a fiery hell and the excruciating torments of its flames has been envisioned by religious leaders of Christendom as the certain destiny for sinners and this idea is still popular among many other religious groups. The Demon and the other devils, created by God as angelic creatures that became evil by their own act, since ancient times have been represented as bearded red-suited personages grasping a pitchfork and having short horns, pointed tails and hoof feet. 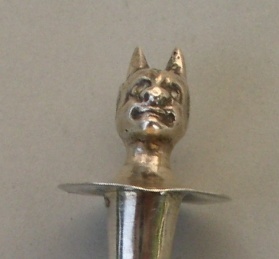 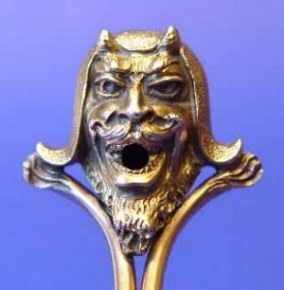 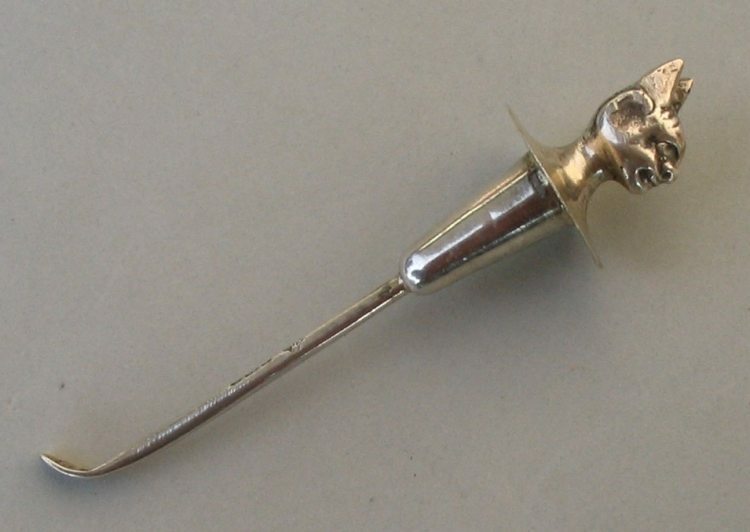 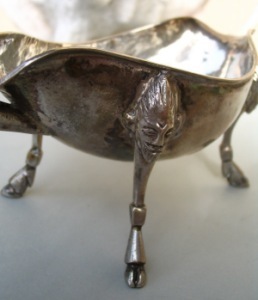 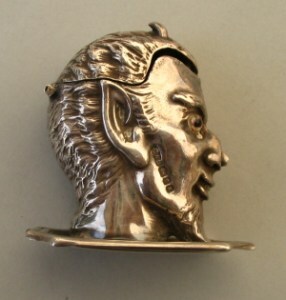 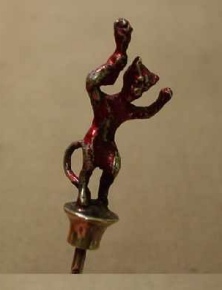 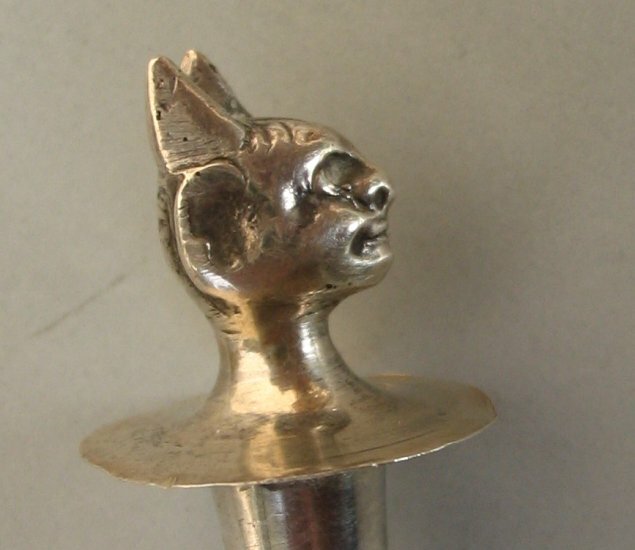 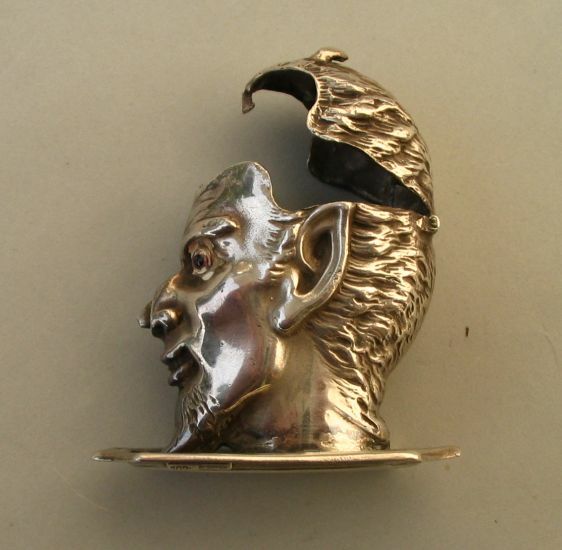 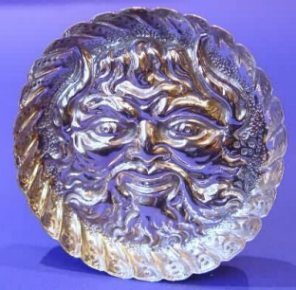 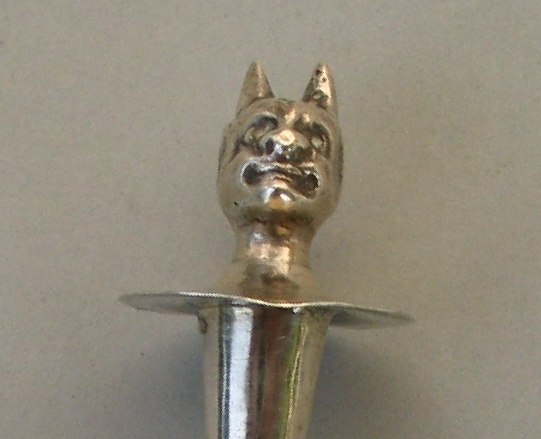 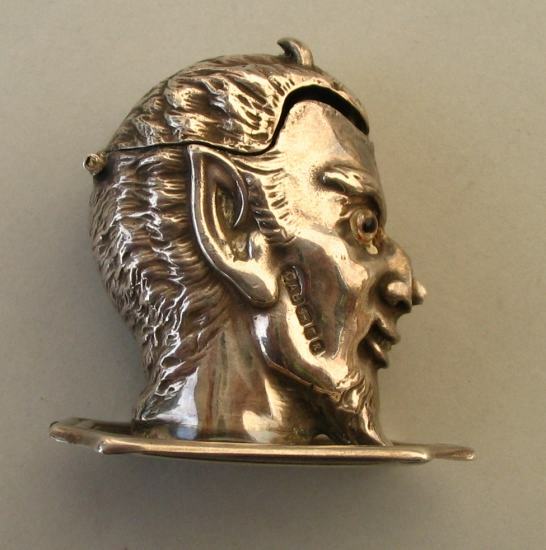 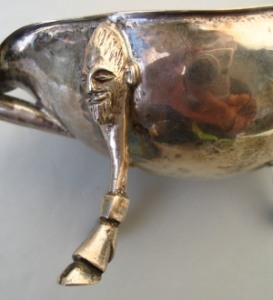 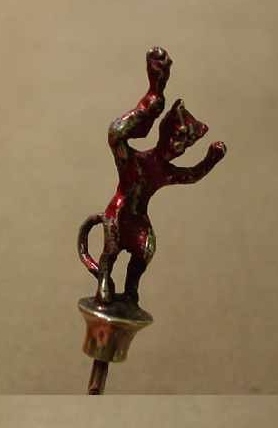 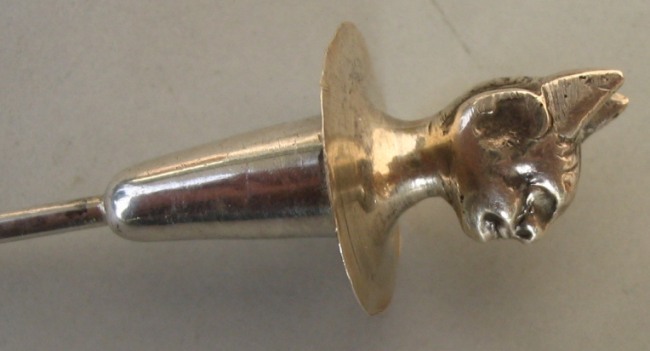 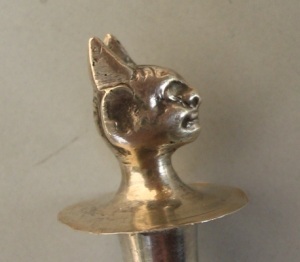 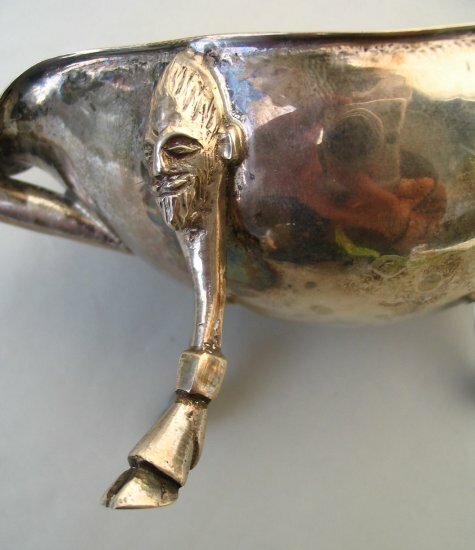 Devils and Demons were often used as decorative subjects for silver items. 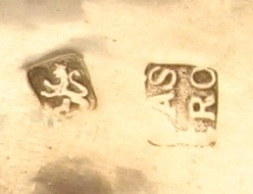 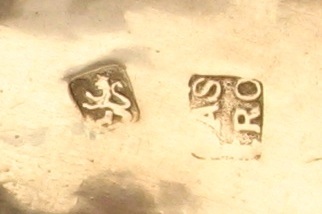 This is a small selection of these artifacts, ranging along three centuries of European silver. 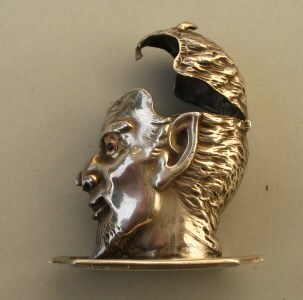 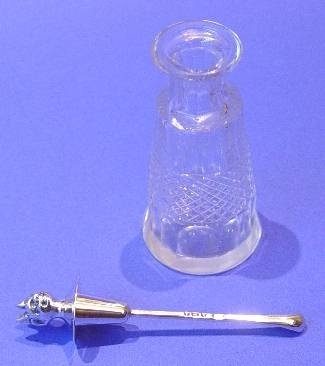 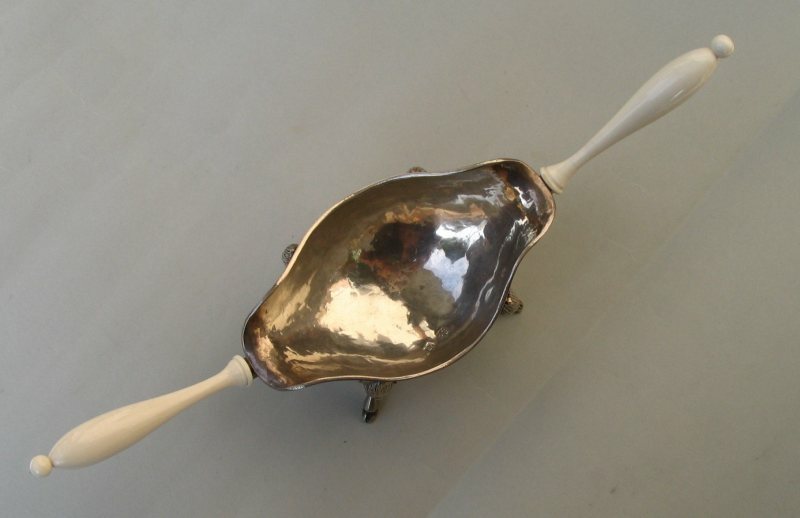 Matching the devils and the fire was a habitual practice for silversmiths. 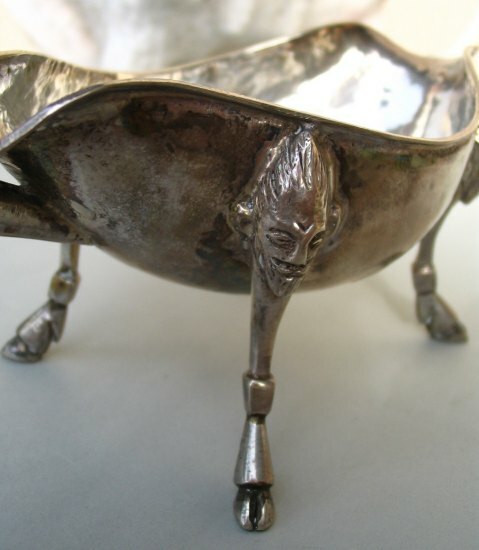 In this case four devil's heads and hoof feet are used to support the cup of a Spanish ember bowl (brazier) of 18th century. 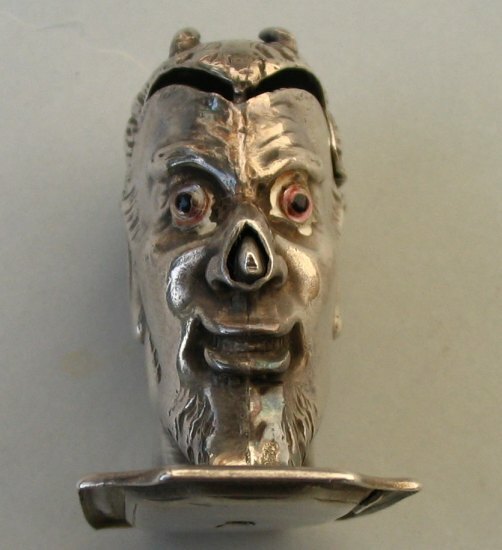 In the Victorian era and in the 20th century spread the use of 'devil' or 'demon' as a symbol of hot sauce and condiment used to flavor or complement foods. 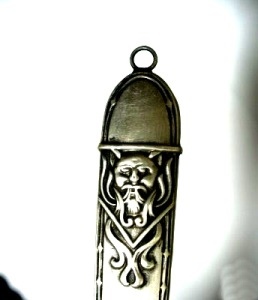 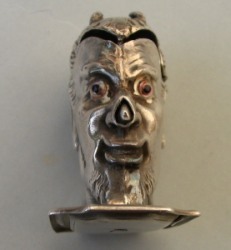 this is an unusual silver pill box having the shape of a devil's head opening the hinged upper portion of the skull. 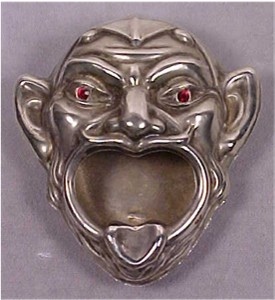 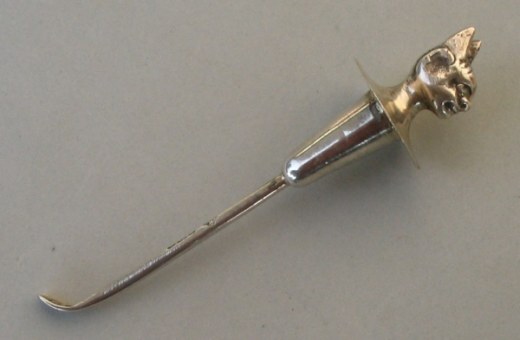 The opening mechanism is a spring loaded device driven by a lever hidden in the devil's nose.